Let us take you on a musical trip around the universe of Karmaflow. 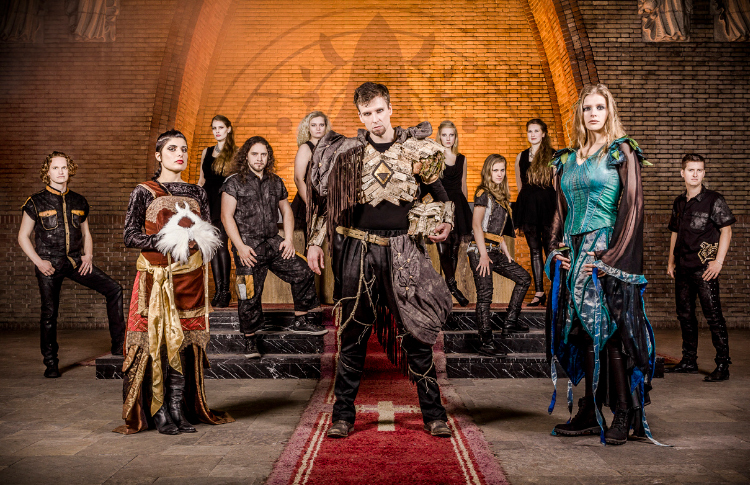 Karmaflow in Concert: The Rock Opera celebrates the launch of the multidisciplinary project Karmaflow: The Rock Opera Videogame. A cast of international rock- and metal singers present several characters of the story. We will travel to Den Bosch with Alissa White-Gluz (Arch Enemy, CAN), Mariangela Demurtas (Tristania, NO) and Henning Basse (MaYaN, DE) for a multimedial fusion of rock, classical music, ethnic sounds and videogames. Together with several other singers, they will (fully costumed!) sing the epic story of Karmaflow.